When thinking about a roof repair, most of us consider this a patch. Proper roof repairs have several other benefits than just putting a Band-Aid on a roofing problem. Premo Roofing would like to share these other benefits with you. IT EXTENDS THE LIFE OF YOUR ROOF– Unplanned major remodeling projects like roof repairs can extend the life of the roof. When your roof is at the end of its life and you don’t have the time or the resources to replace the roof, repairs may help you buy some necessary time. We have had many clients who were anticipating an unplanned replacement to be surprised then they were told all they needed was a roof repair. KEEPS THE WARRANTY IN EFFECT– Most roofing systems require recurring maintenance and repairs. Not performing these necessary repairs could be seen as neglect and void the warranty. Fortunately, certified roofing contractors like Premo Roofing can help you schedule regular roof repair and maintenance appointments. IMPROVES ROOF PERFORMANCE– Another benefit of punctual roof repairs and maintenance improves the performance of the roof. 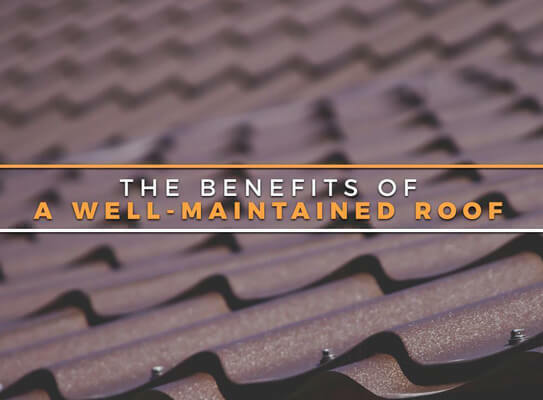 It’s necessary to know that even the smallest leak in the roof can quickly escalate into a larger leak and compromise the overall performance of the roofing system. KEEPS YOUR HOME ENERGY-EFFICIENT– An energy efficient home keeps a sealed and insulated indoor environment, reducing heat loss during the cold days and heat gain during hot days. An efficient roofing system can reduce indoor heating and cooling requirement, resulting in lower energy bills. Roof leaks can be the cause of energy loss unless necessary repairs are completed in a timely manner. REPAIRS IMPROVE AESTHETICS– Your roof is one of the first things people see, so it only makes sense that a regularly maintained roof will have better frontage and exterior aesthetics. HEALTHY LIFESTYLE– Long-term leaks can lead to interior mold and mildew, which can pose a serious health risk. With regular maintenance you can avoid potential health hazards in the home. Turn to Premo Roofing for all your roof repair needs. With a thorough inspection, our specially trained team can suggest the ideal solution that your roof needs to ensure your home’s protection. Call us at 831-443-3605 to schedule a consultation. We’ll even offer you a free estimate.